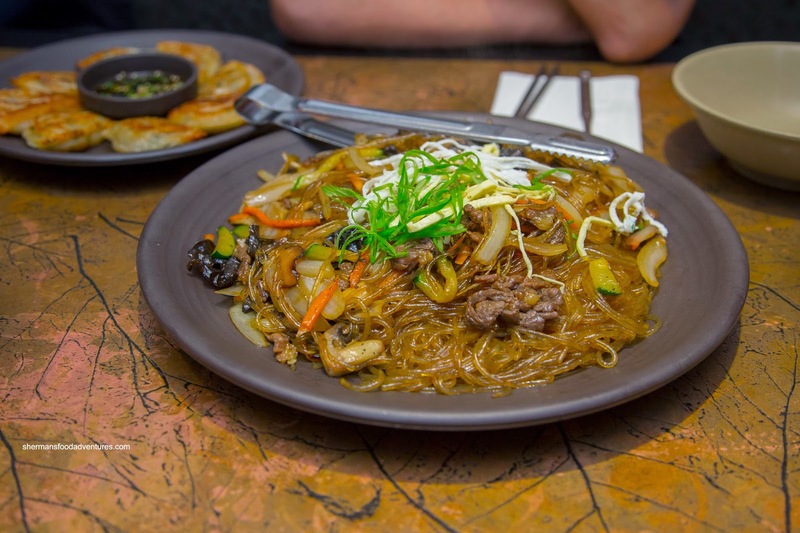 Finding late night eats in Vancouver, specifically in Downtown, is not really a difficult task. However, as we move out further into the burbs, it gets a bit more complicated. After another late night league game on Friday (when has 11:45pm become an acceptable "prime time" slot??? ), we wanted to stay East of Boundary. 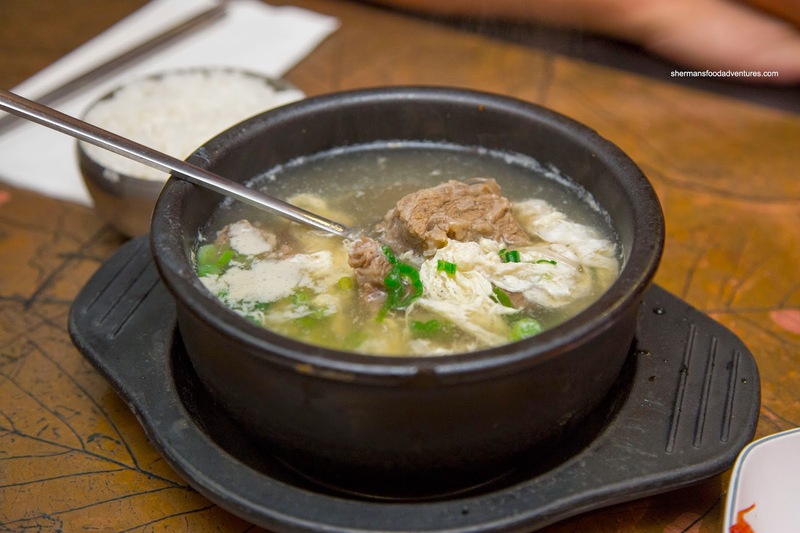 Hence, we ended up at Jang Mo Jib on Kingsway in Burnaby. Occupying an old location of Knight & Day, the place wasn't exactly at the top of our list, but there weren't a whole lot of options at 1:30am that didn't involve a drive-thru. 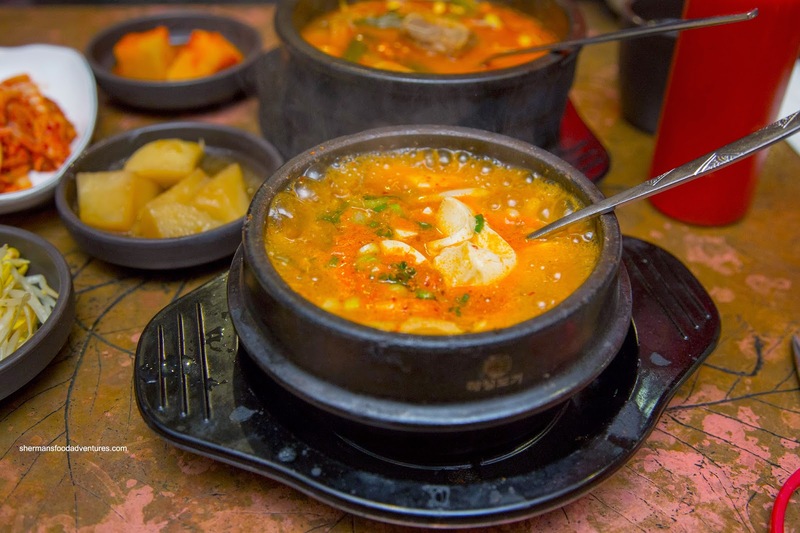 Milhouse and I decided to begin with the Hae Mool Soon Doo Boo (Spicy Seafood Soft Tofu Stew) that arrived bubbling hot. We ask for medium spicy and it was more or less so. The tofu was silky while the amount of seafood was pretty minimal. Yet, in terms of total ingredients, there was much more of it than broth, which we liked. As for the broth it was, as mentioned, slightly spicy with a balanced amount of saltiness. 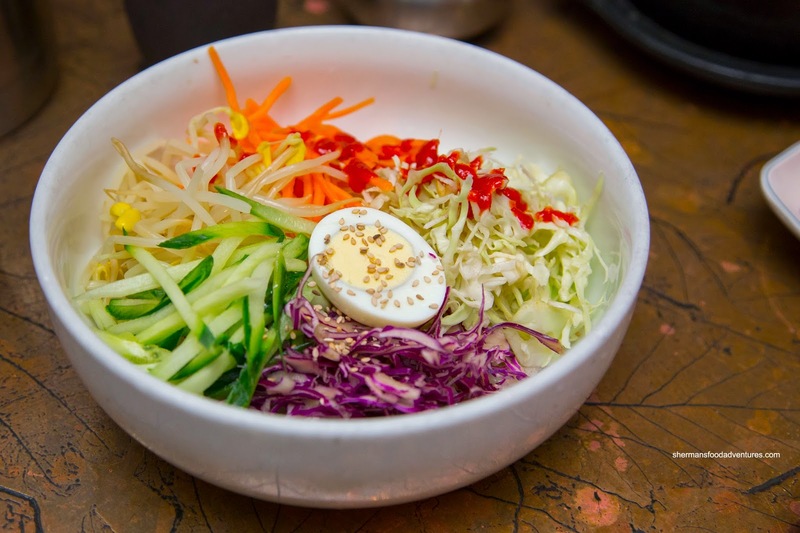 For myself, I had the Jzol Myun or Korean extra chewy cold noodle with vegetables and boiled egg, served with hot chilli paste on the side. The noodles were indeed toothsome while the toppings were fresh and crisp. Naturally, the overall flavour depended on how much gochujang was added (I used alot!). 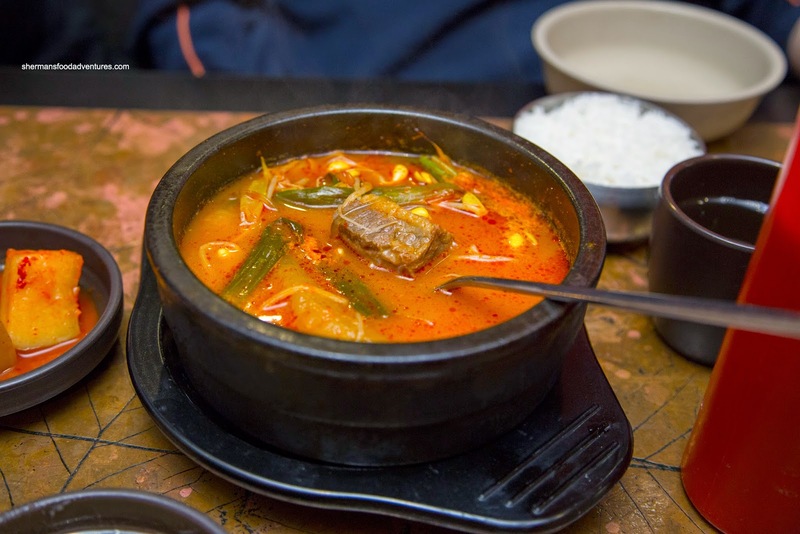 Milhouse ended up with something that was somewhat similar in taste to the tofu soup in the Dda Ro Gook Bahb (beef stew, radish, green onion and vegetable in spicy hot beef broth served with rice). Of course it wasn't exactly the same, but it was equally spicy while saltier. That was fine though as it was to go with plain rice anyways. He wasn't particularly happy with the beef as it was quite chewy. Lionel Hutz decided on something milder with the Gahl Bee Tahng or beef short rib meat with sweet potato noodle and egg swirl in clear beef broth served with rice. Usually, this is served with salt so one could adjust the flavour. However, it was not needed here as it was plenty salty on its own. Again, the beef could've been more tender. 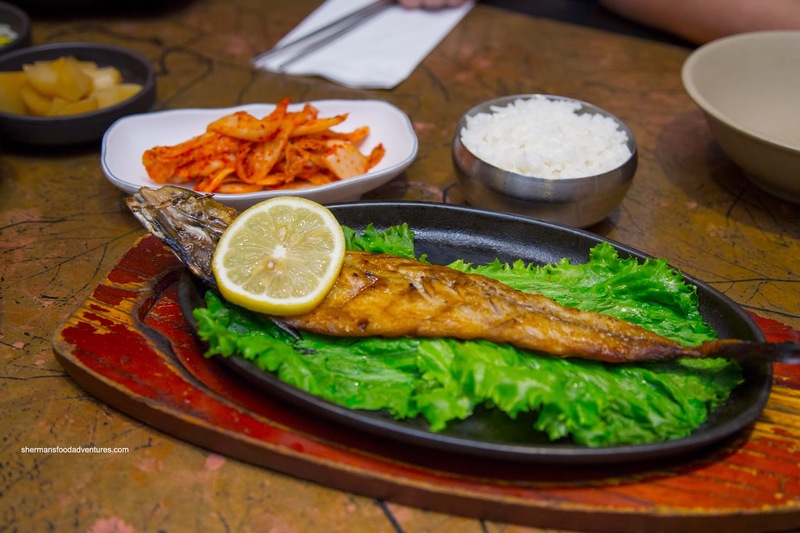 Naturally, we were served some Banchan to go along with our dishes. 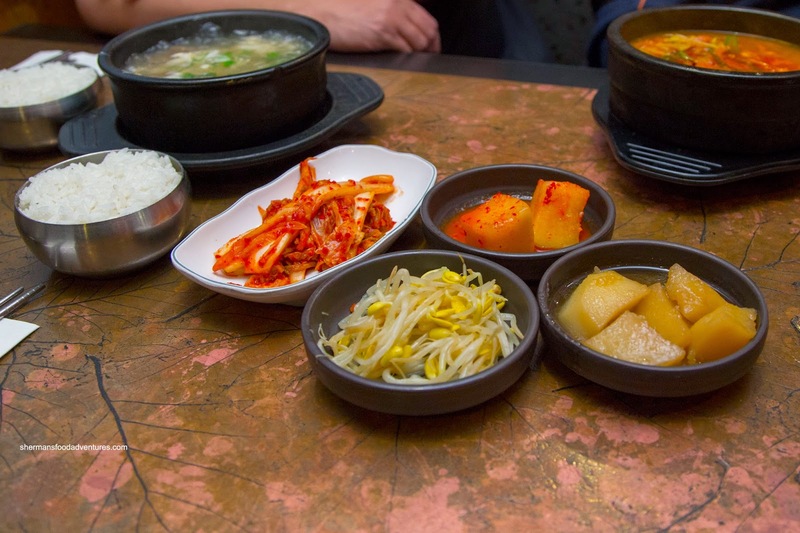 These included kimchi, sprouts, stewed potatoes and spicy radish. These were okay, but not really all that tasty. The sprouts and potatoes were rather bland while the kimchi was okay, but could've been spicier. Not surprisingly, we returned a month later due to another late game and the potatoes were actually too hard. 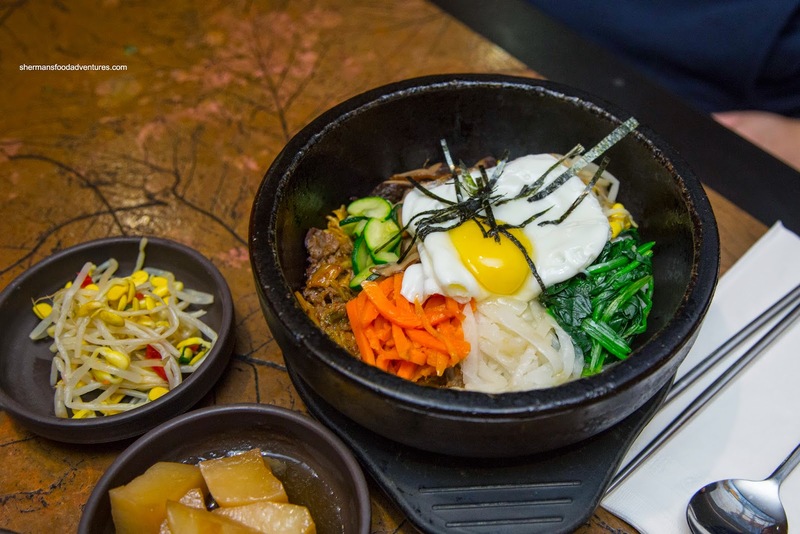 This time around, Milhouse decided to go for the Dolsot Bibimbap (assorted preserved vegetables, beef, sautéed Kimchi, onions and fried egg served on rice in a hot stone bowl, served with homemade hot chilli paste on the side). This came sizzling hot where the chewy rice was able to form a crust. We thought that a completely raw egg would've been better than the sunny side as provided. I went big and had the Jap Che (stir-fry sweet potato noodle with assorted vegetables and beef cooked in a house special marinade sauce). I thought that there was far too much slivered onion in the mix and indeed it was. We figured there was almost a small onion used for the dish. On the positive side, the noodles were toothsome and well-seasoned. Maybe a bit too salty though with plenty of sesame oil. I would've liked to see more beef though. Groundskeeper Willy opted for the Go Dung Uh Goo Wee or grilled Norwegian mackerel which was surprisingly good despite the fishy aroma. It was flaky and completely crispy on the outside. It was nicely seasoned where it didn't interfere with natural flavours. 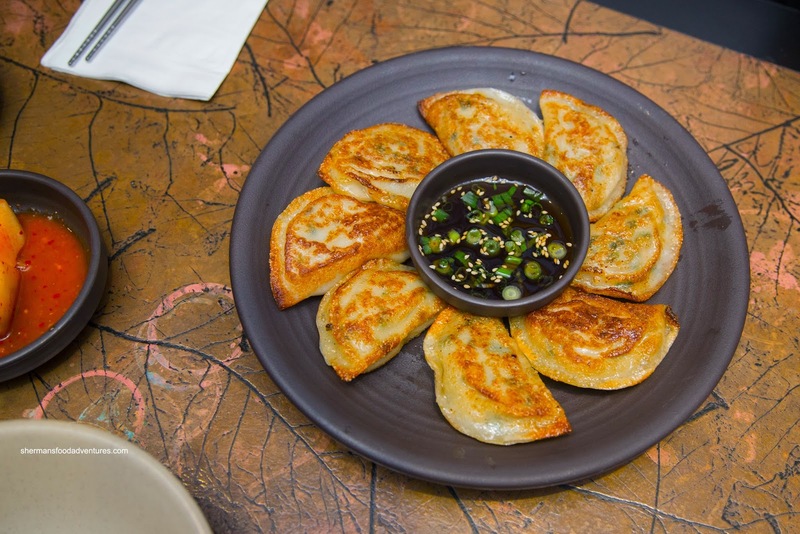 Lastly, Lionel Hutz had the Goon Mahn Doo (pan-fried Korean style beef and pork mix dumplings served with house special soy sauce) which were beautifully crispy. They were properly fried until golden brown. He found the filling to be pretty average though being loose and a touch gritty. Overall, we were okay with the food on both visits. 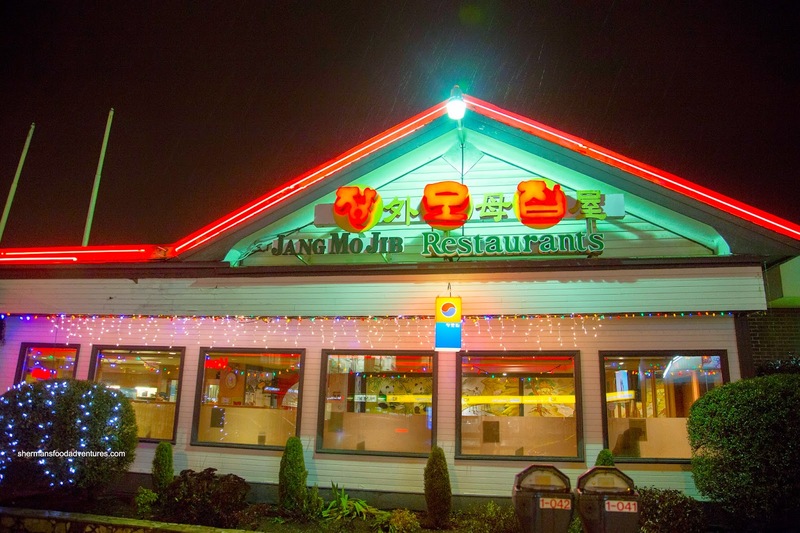 Interestingly, I remember going to the original Jang Mo Jib on Kingsway across from Dai Tung. I swear it was better back then or maybe I'm imagining things? Whatever the case, JMJ did the trick, especially when we really didn't have a whole lot of other choices.